"Doctor Who" fans throughout space and time can now get a look at the first poster for the show's 50th anniversary special. 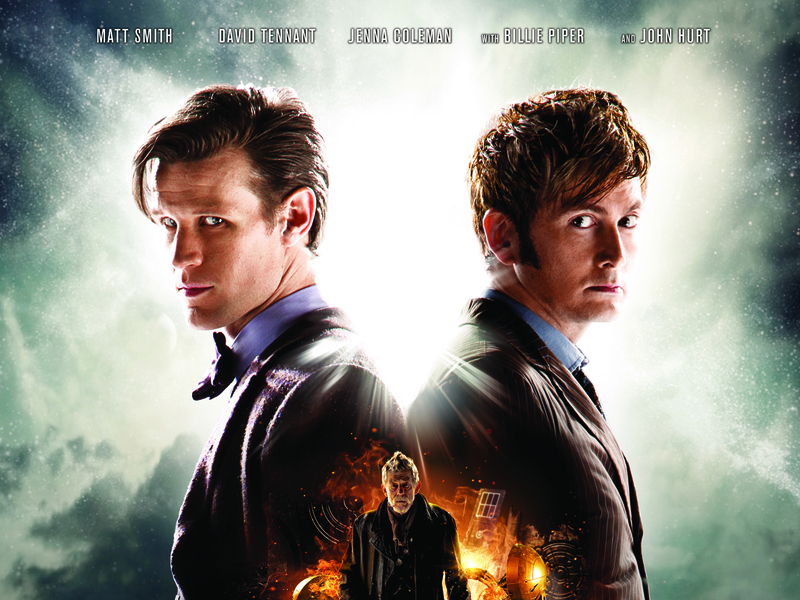 "Doctor Who: The Day of the Doctor," starring Smith, Hurt, Tennant, Jenna Coleman and Billie Piper, premieres Nov. 23 on BBC America. The episode marks the first time Tennant and Piper have returned to the series since their farewells in 2010. It was announced in June that Smith will be departing the series -- and last month, actor Peter Capaldi was named his successor.